Does your home have defensible space? Chelan County Fire District #3 and the Chumstick Wildfire Stewardship Coalition want to help your efforts. Apply today for our mobile chipping program by emailing Fuels@ChumstickCoalition.org. Chipping will occur between the dates April 24th and May 3rd. On May 4th-5th Chumstick Coalition and CCFD#3 will be hosting a FREE vegetation drop off at the Leavenworth Fish Hatchery. 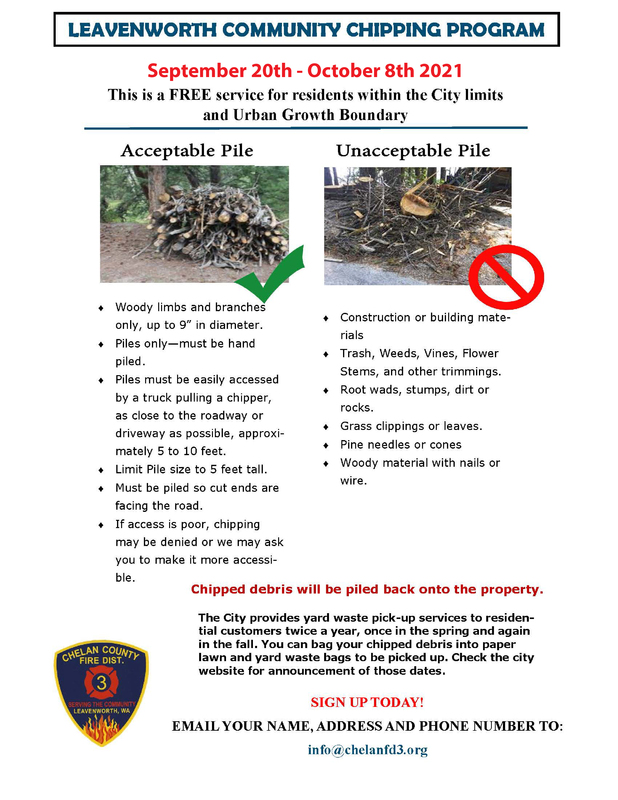 We will be chipping this material as well so please no thorns, no yard waste and only vegetative wood (no lumber).